The Town of Lockeport was originally settled by 2 families from Massachusetts whose aim was to create a stepping stone from which they could access the rich fishing grounds of the north western Atlantic. Seacap's Memorial Park, Rood's Head Park, The Salt Marsh Boardwalk and the Sable River Picnic Park. Crescent Beach, Buchanan's Beach, Freddy's Beach, Louis Head Beach, Black Point Beach, Canada Hill Lake, Western Head Beaches, Rockland's Beaches. 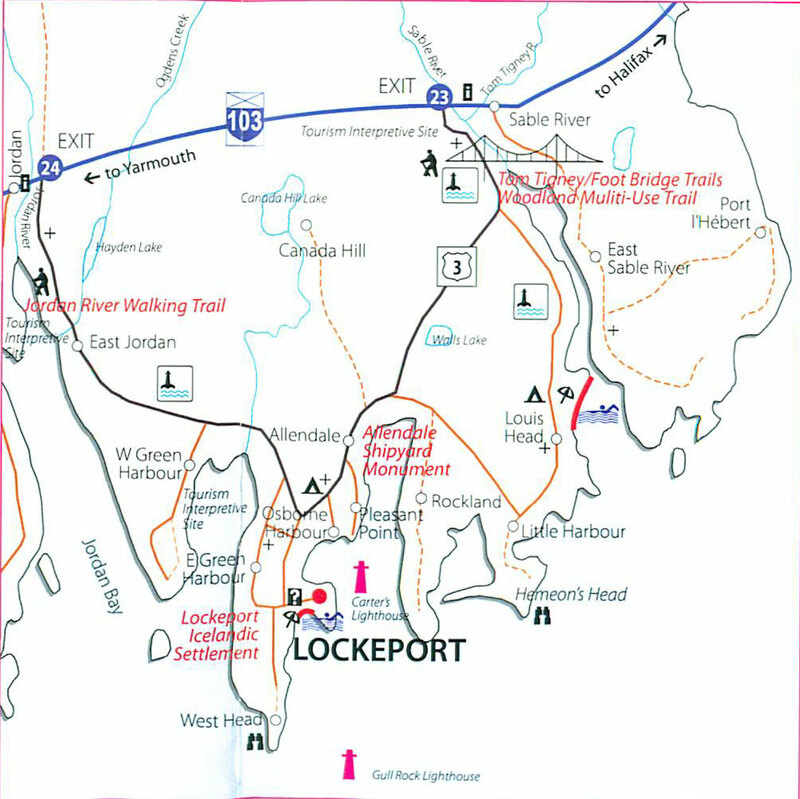 For more information on the Lockeport Loop please contact the Lockeport Loop Business Association.